"One of the things that was done to the YF12As at Edwards was to paint a white cross on the bottom of the aircraft to make it visible against the black sky so it could be spotted by a ground observer who was stationed on the hangar roof during missions (they used high power binoculars). He was in radio contact with the engineers in the radio room in the hangar. "On one mission the observer said he did not need the binoculars to see the airplane because he could see the "contrail." Airplanes con at 35,000 ft, NOT AT 80,000 ft. At about the same time my pilot noted we were losing fuel at a very high rate. He guessed a fuel line to the left engine had burst and was feeding raw fuel into the engine. He immediately declared an emergency, throttled back on the engines and began a spiral descent to Edwards since we were right overhead. I kept my hands on the eject handle in case the airplane decided to explode. We landed OK and when the plane stopped the base commander was there with his car. Emergency vehicles had not arrived on the scene yet, so the base commander drove up to the plane on the right side by the cockpits. "Both the pilot and I egressed the aircraft by jumping on the roof, then the hood of the car and started to run away from the bird. It looked like it had just come out of a car wash and was leaking fuel all over the runway. I still do not know why it did not explode. YEAH, the fuel was of low volatility, but come on! 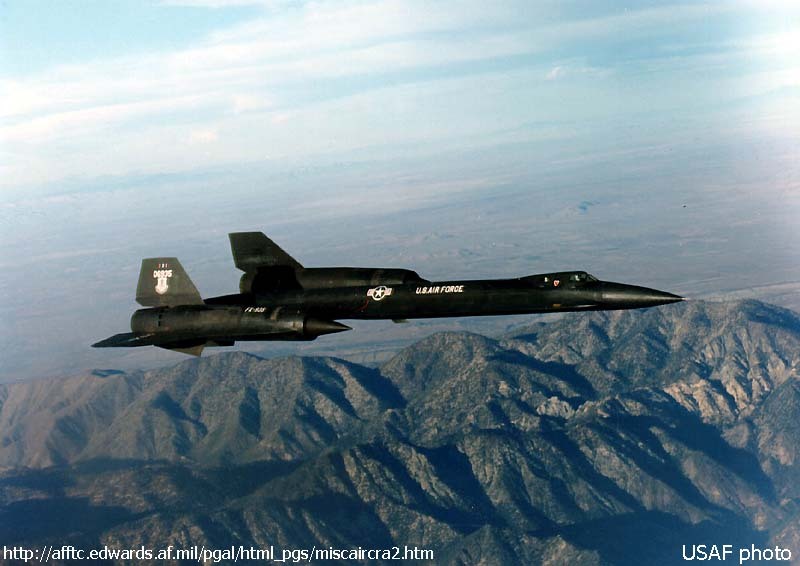 "Anyway, because I was carrying almost double my weight (the pressure suit weighs 35 lbs and the parachute weighs 70 lbs; I only weighed 120 lbs), I was concerned about falling off the airplane and breaking my neck. SO...I walked down the chine on my spurs to keep from slipping on the wet skin (the spurs were strapped to your boots, and were used to hook into cables on the seat which were designed to pull your feet back into the seat to prevent leg loss during an ejection). In doing so I punched a couple of holes in the upper chine skin. Thus, I have always contended I "signed my signature" to the plane. "If you are ever in Dayton, Ohio at the air museum, there you can see the patches on the upper chine, right side by the rear cockpit where they repaired my 'signature.'" More photos are available at NASA's web site and our NASA/Dryden Mirror Page. 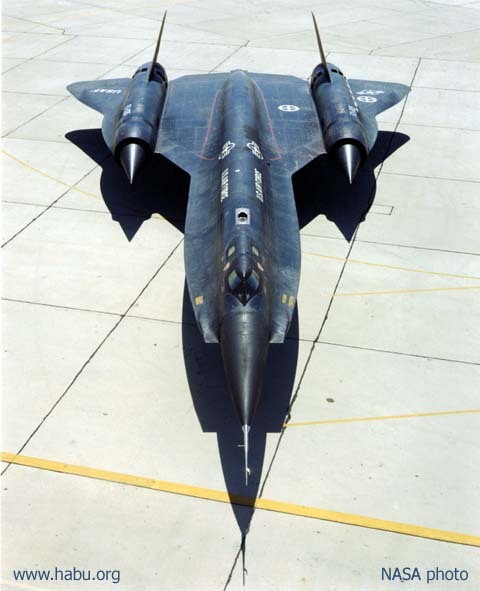 The only surviving YF-12A, 935 was delivered to the U.S. Air Force Museum at Wright-Patterson AFB near Dayton, Ohio, by Col. Jim Sullivan and Col. Richard Uppstrom on Wednesday, November 7, 1979, and has been on permanent display ever since. 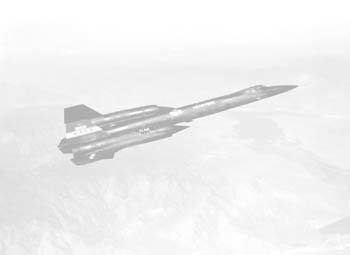 The museum is also home to an SR-71 (61-7976). Click here for a NASA video of this bird in action.